There’s something about motorcycling, isn’t it? The feeling of wind streaming past your face that dials up your adrenaline along with the sense of being one with the environment that makes you feel absolutely free are some of the pleasures you get while riding a motorcycle. However, danger looms at every corner, especially on roads like ours where anything can jump at you out of the blue. That’s when being constantly vigilant and following road rules can be a lifesaver. 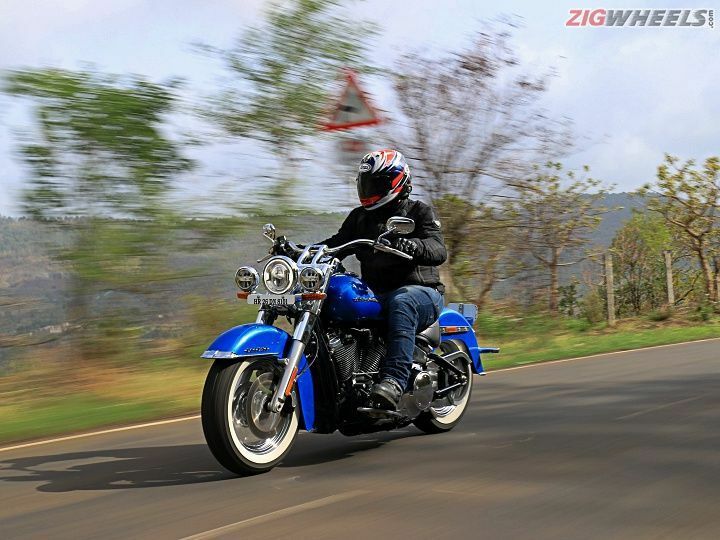 Moreover, with the monsoon in full swing, riding safely becomes even more of a challenge. So, here’s a list of helpful tips that’ll not only keep you alive but also make you a better rider. This is the most logical step in the road to safe riding. People tend to overlook many rules while getting caught up on riding. Stay in your lane and keep an eye on your rearview mirror on both sides, especially while changing lanes. Use your turn indicators and always keep your headlight on. This increases the bike’s visibility on the road. Keep a lookout for road signs that provide instructions such as restricted entry, speed limits, narrow bridge, pedestrian crossing, etc. When you’re riding on hilly roads, always stay in the correct lane. Sound horn at every blind corner and resist the urge of doing a ‘Rossi’ on a corner as it is highly unsafe. One small mistake will send you flying across the mountain or get crushed by an oncoming vehicle. Do not use mobile phones while riding. That call from your boss (or wife/girlfriend) can wait as your life's on the line irrespective of the speeds you do. Wearing riding gear may be uncomfortable for some, but they’re the first line of defence when one crashes. Mesh riding jackets are ideal in the summer as it allows an even flow of air to cool your body. Opt for riding jackets that come with an internal rain liner for the rainy season. In many cases, the liner is not exactly foolproof as water tends to seep in at certain places. A good workaround for this would be to wear your rain gear over the jacket. Buy extra-sized ones so that it fits easily over the jacket. If you have the budget, you can take a look at fully waterproof jackets that come with a hydrophobic coating. Usually, riding jackets are equipped with CE-rated armour inserts that offer protection as per the rating level. The higher the rating, the better it is at absorbing impacts. Riding in the rain can be tricky as traction is reduced considerably, increasing your chances of skidding or losing control of the motorcycle. Keep an eye on vehicles ahead and follow their tyre track. It will give you a fair idea about the condition of the road, especially when it’s flooded. Apply the brakes progressively and with equal pressure for both the front and rear wheel. This helps in bringing the motorcycle to a halt in a gradual and safe manner. Having ABS can be a lifesaver since it prevents the locking of the wheel while panic braking. Check out more tips on how to ride safely in the rain here. Avoid tailgating at all costs as it prevents the rider from knowing what’s directly in front of the vehicle ahead. If the vehicle ahead of you applies the brakes, you will have very little reaction time to steer away from danger. So, always keep a two-car distance to the vehicle in front of you. Riding is taxing if you’re not in good shape. Moreover, staying hydrated is important as it keeps the brain active and alert. Lack of hydration could result in a loss of concentration, increased chances of fatigue, distraction, and at the extreme level, it can even lead to muscle cramps. Drink plenty of water before embarking on a ride. Hydration packs help in staying er... hydrated while on the move. Alcohol or any other narcotic substances are a strict no-no when you’re anywhere near a motorcycle. These substances cloud your judgement, considerably slow down your reaction time apart from causing your eyes to dilate and lose focus on what’s ahead. Riding inherently needs high levels of concentration and alertness as you’re literally riding a metal frame on wheels powered by a controlled explosion of fossil fuel or electricity (depending on your choice). Motorcycles are cool and your riding skills may be what they call ‘crazy’. But do not show off your skills on public roads. You’re not only putting yourself in danger but also pose a threat to other unwitting road users. Not to mention, performing stunts on public roads is illegal too. Racing or stunting should be strictly restricted to a closed private space that’s suitable for such activities. It goes without saying, wear good quality riding gear. These activities put a lot of stress on your motorcycle. So make sure that they’re properly serviced before and after the ride.